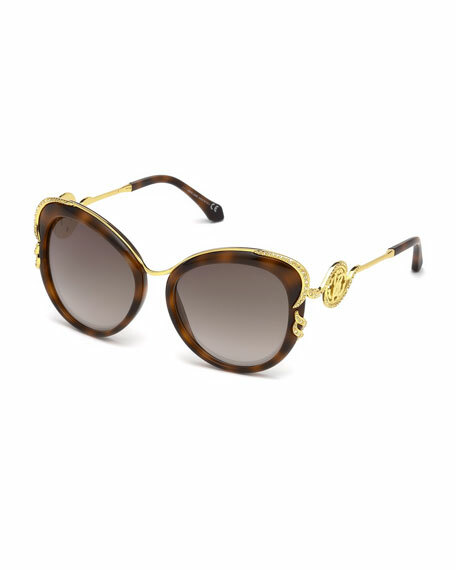 Roberto Cavalli square sunglasses in metal and acetate. Crystal trim at frame front and temples. For in-store inquiries, use sku #2572024.